Costa Rica is a beautiful country known among travelers as a nature lover’s paradise. It has volcanoes, forests, mangrove swamps, rivers & lakes. But its best features are the many beaches that it has. In this country 2 thirds of its coasts are beautiful beaches. This means over 1800km of coastline. Golden sand beaches, gray sand beaches, black sand beaches, and pink sand beaches can be found all over the country. You can find anything you might want along these beaches. In some towns you will see luxury hotels, fine restaurants & tours being offered for the whole family. Some other will be tiny, secluded surf or fishermen towns where you can have some privacy and seclusion. Since it is such a narrow country even the Caribbean and the Pacific beaches are really close from each other. You can drive across the country in a matter of hours. You can choose the regions depending on what you want, for example if you love the relaxed feel of the ‘Rasta’ culture you can visit Costa Rica’s Caribbean Coast. But if in the other hand you want lush vegetation and secluded beach towns we recommend you visit the South Pacific region. There are also very well developed beaches where you will find 5 star hotels 6 restaurants, great bars & spas all over the place you can visit one of the beaches along the Guanacaste coast. A question we get very often is: What is the best season to visit the beaches? Well, Costa Rica has a perfect tropical weather so you can visit them year round. Yes sometimes you will get rain but it’s not a lot and even while it’s raining it’s really warm. This is actually a group of 4 beautiful white sanded beaches within the limits of the Manuel Antonio National Park. In some parts you will find tidal pool where you can chill and let the kids play, there is also a natural land bridge formed by sand accumulations. This area is very popular for snorkeling & sport fishing. This is a very long beach, with excellent waves and has a beautiful estuary. There is a great part of the beach called Pico Pequeño for advanced surfers but we don’t recommend beginners to come here. However the rest of the beach breaks are perfect for learning. 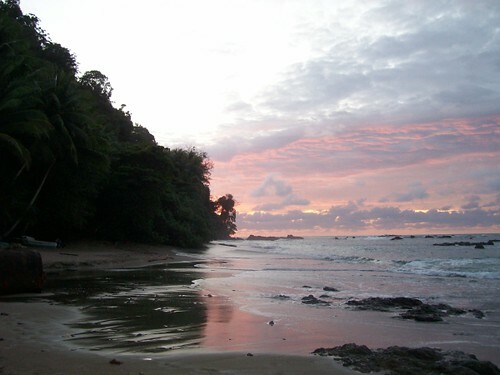 This is a long strip of coast located in the south pacific coast of Costa Rica that is formed by around 20 beaches. This area starts in Dominical and ends with the Panamanian border. This is where some of the most pristine and secluded beaches of the country are. 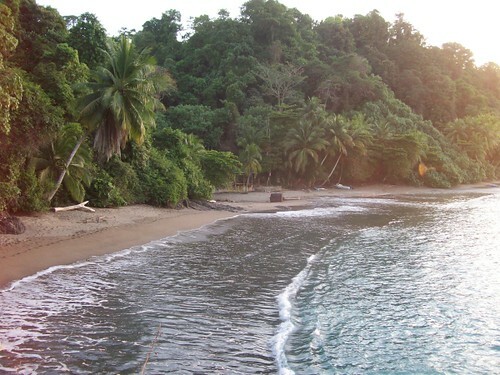 Here the tropical rainforests and the dense canopies border the beaches. Some are famous for sport fishing and some other for the amazing surf breaks. In here you will find a small beach town where during the day you get to experience a laid-back ambience and during the night enjoy a mellow hippie atmosphere. This town is always filled with artists, musicians, backpackers and eco-tourists. We love it because you can still spend the day walking along a deserted beach with some amazing surf spots. 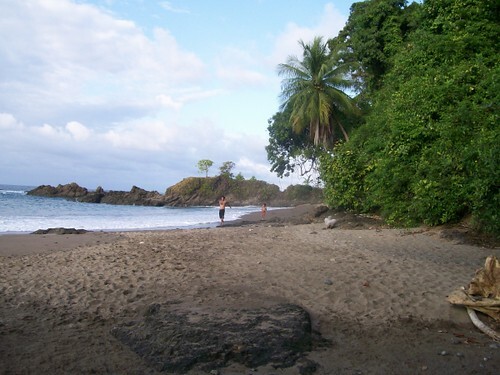 As you can see Costa Rica has a beach for every taste and we recommend visiting as many as possible. I would only add two more beach locations on each coast that are good destinations for activities on and off the water – Jaco Beach and Puerto Viejo – and worthy of a look.